People ride a vehicle past damaged trees after a tornado hit Funing on Thursday, in Yancheng, Jiangsu province, June 24, 2016. REUTERS/Aly Song. 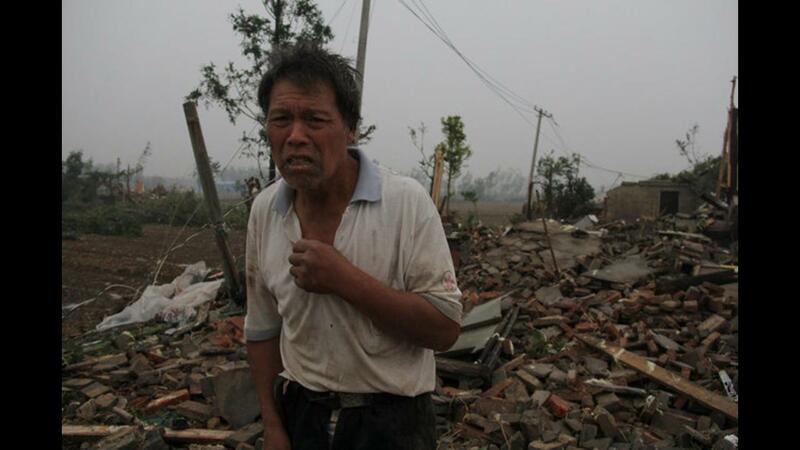 BEIJING (Reuters) - Rescue workers have been trying to safely dispose of hazardous chemicals after a deadly tornado hit eastern China on Thursday, killing at least 98 people and injuring more than 800 others, Chinese state media reported late on Saturday. The chemicals, including ammonium gas and silane, were stored at a solar panel factory in China's Jiangsu province, which was destroyed in Thursday's storm, said the official Xinhua news agency. However, the amount of hazardous chemicals is not a large and the clean-up operation was expected to be completed on Saturday, Xinhua said, quoting a rescue work official.